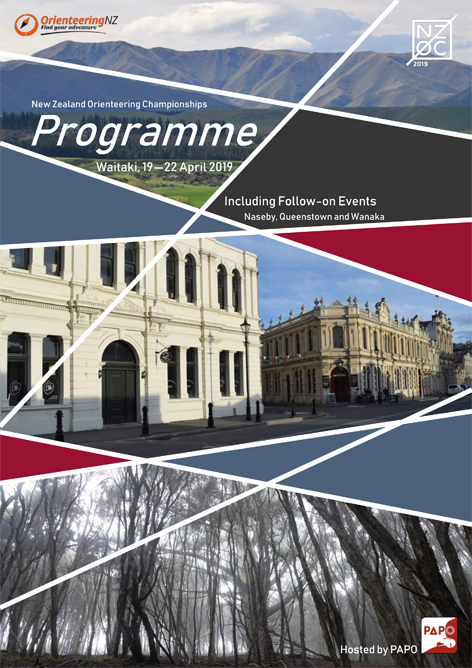 The comprehensive NZOC 2019 programme and Start Lists are now available on the event website. The Programme has all the information and will be your reference guide for the event. The website has most of the information but is not as comprehensive as the Programme. PAPO are very much looking forward to hosting you at what is shaping up to be a fantastic long weekend of orienteering, as well as showing you more of what the South Island has to offer in the Follow-on Events with our friends in the Dunedin, Remarkables and Upper Clutha orienteering clubs. The final Programme and Start Lists have been published on the Event Website and are available to view and download. The New Zealand Orienteering Championships 2019 are being held over Easter Weekend in Oamaru.